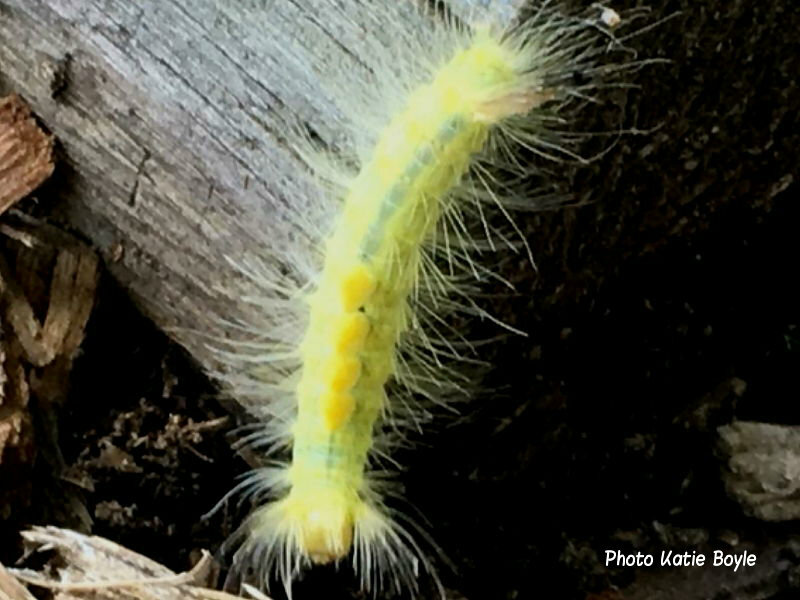 Please note that although many hairy caterpillars are safe there are some that have irritating (urticating) hairs which may cause skin reactions. Some people seem more susceptible than others but as a precaution direct skin contact should be avoided. 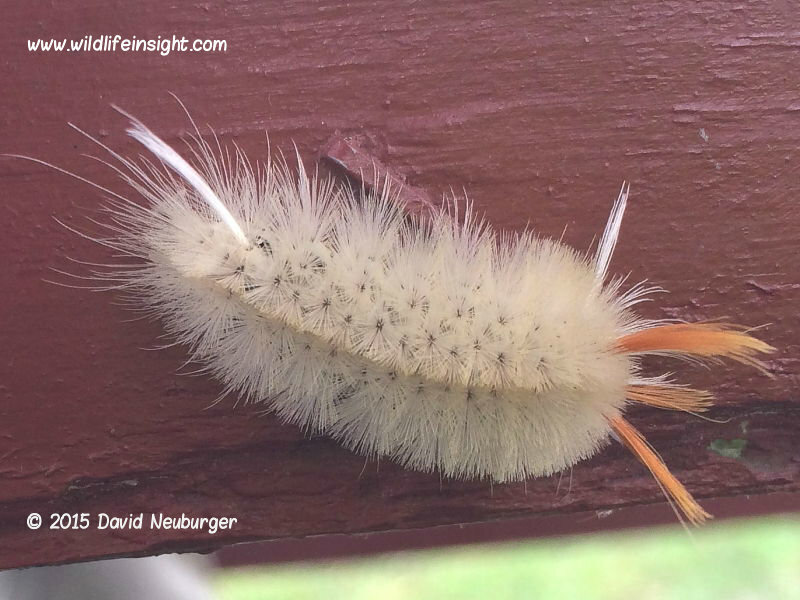 Many of the caterpillars of the Lymantriidae moth family, which includes the Tussock moth caterpillars, are known throughout the world for having hairs that can cause health problems. 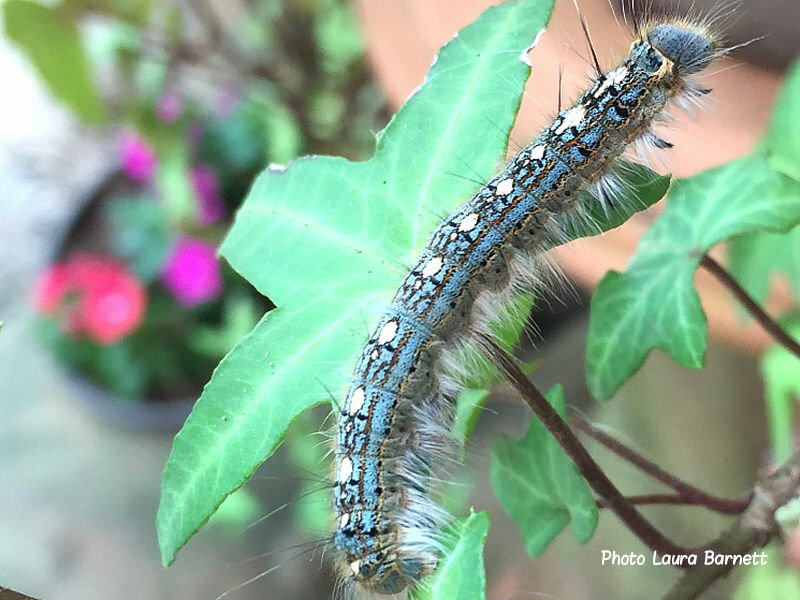 The Gypsy moth caterpillar and Brown-tail Moth caterpillar are two species to treat with caution and avoid direct skin contact with. 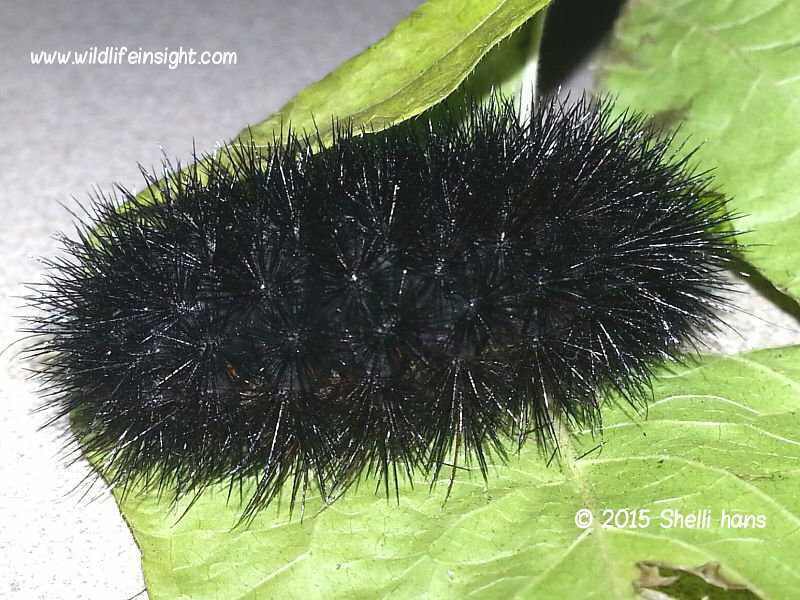 some with thin lashes of protruding hair. There are several different species and identification can be difficult due to variations and similarities between species, perhaps, in some cases, sub species. 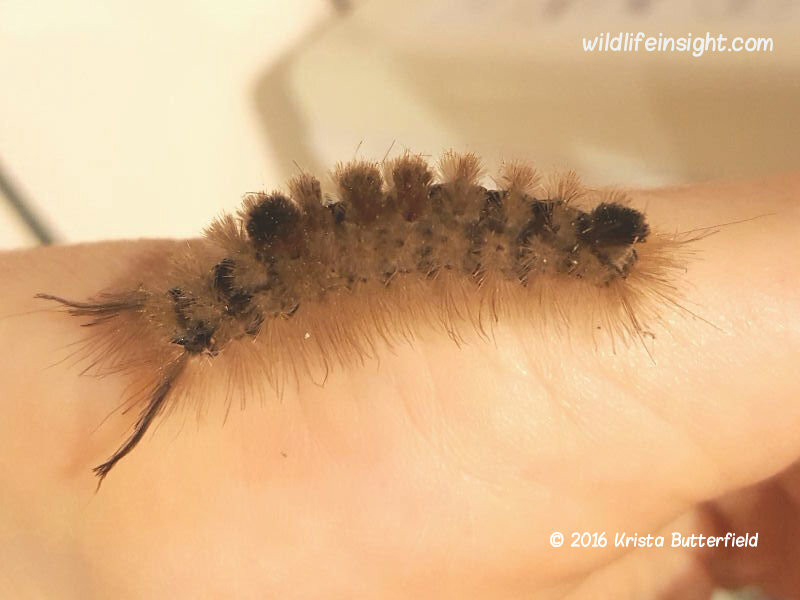 Tiger Moths are some of the most brightly colored moths and their caterpillars some of the most hairy. 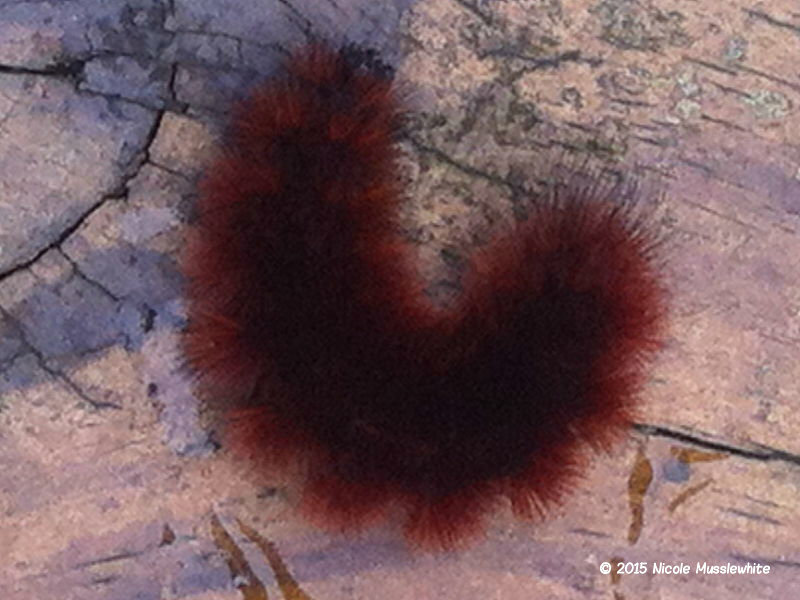 The mass of hairs has resulted in some species such as the Great Garden Tiger (Arctia caja) and Isabella Tiger Moth (Pyrrharctia isabella) to be referred to as Woolly bear caterpillars. 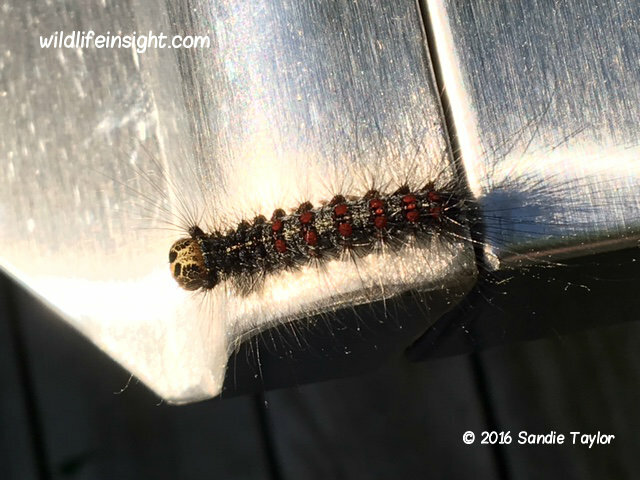 The caterpillars are commonly seen crawling at speed across the ground in search of overwintering and pupating sites in late summer and the fall. 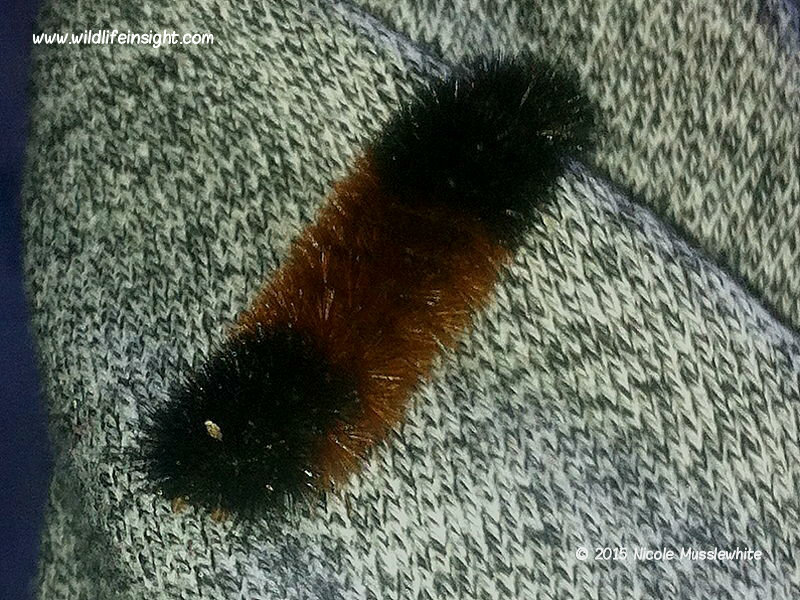 The extent of the black and rusty brown bands of the Isabella Tiger Moth caterpillar varies according to the development stage of the caterpillar. 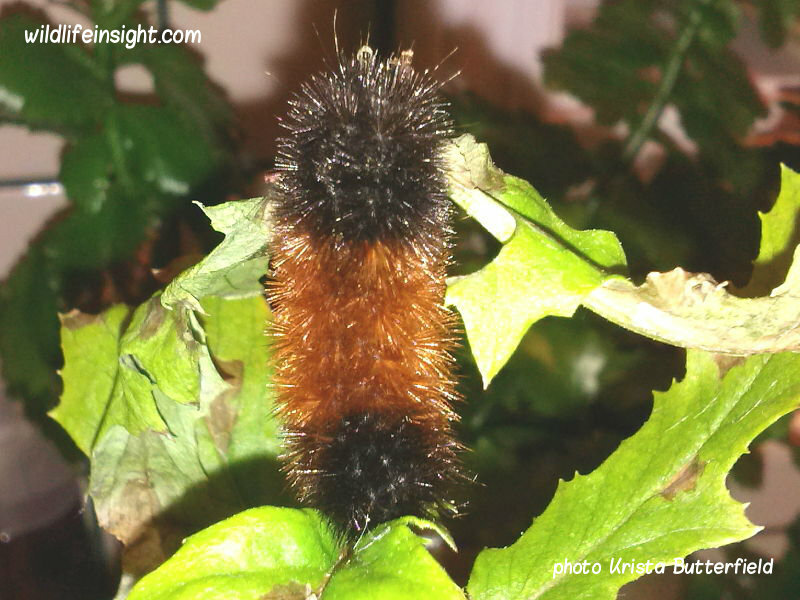 These bands have also led The Isabella Tiger Moth caterpillar being known as the Banded Woolly Bear. 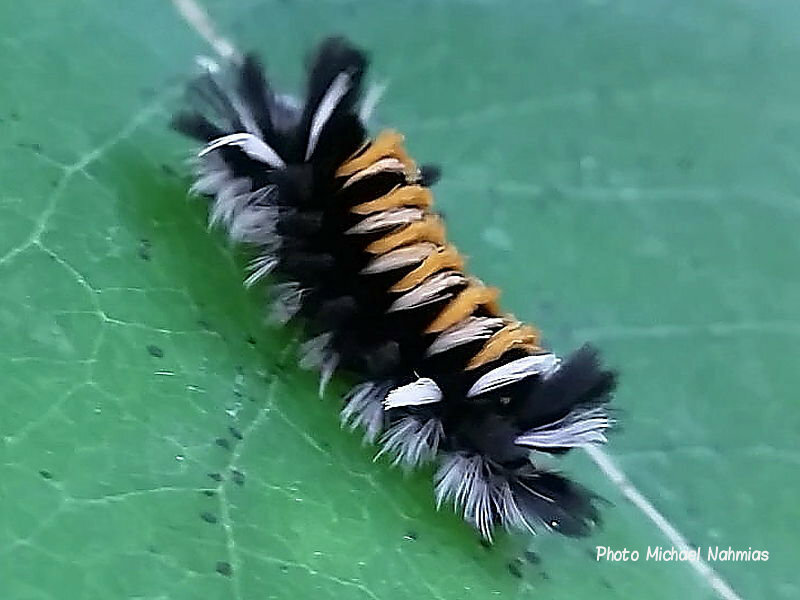 The brightly coloured but less hairy caterpillars of the Spotted Oleander caterpillar (Empyreuma affinis) and the Oleander caterpillar (Syntomeida epilais), also known as the Polka-dot Wasp, are also Arctiinae species but are likely only to be seen Florida. 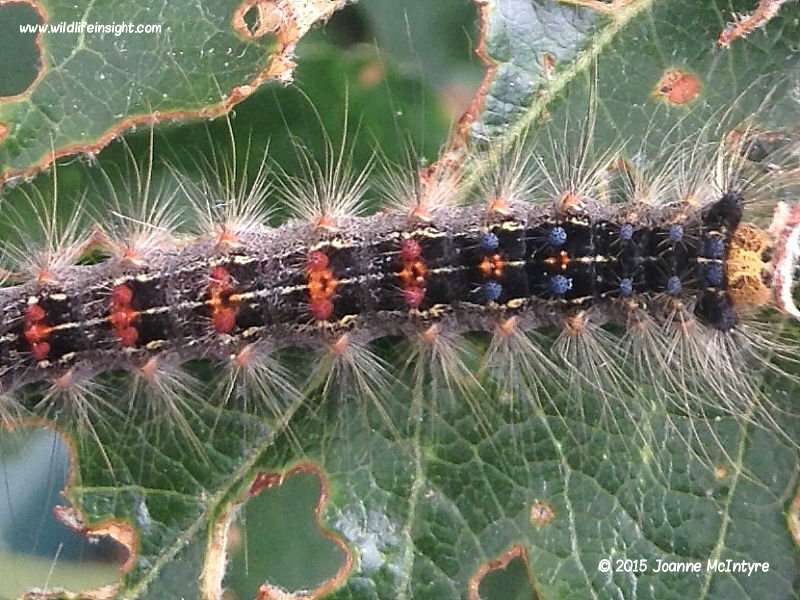 The caterpillars of several species of moths of the Lasiocampidae family are known for spinning silk webs in which the caterpillars live communally, only venturing away from to feed and pupate. The ‘Tent’ refers to this protective silk web. 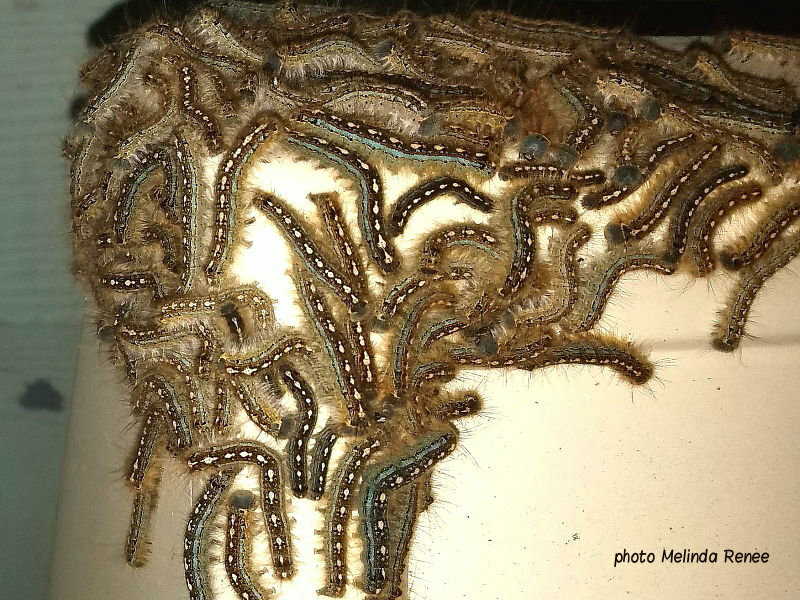 The Eastern Tent caterpillar (Malacosoma americanum), Western Tent caterpillar (Malacosoma californicum), Forest Tent caterpillar (Malacosoma disstria)and Pacific Tent caterpillar (Malacosoma constrictum) are four of the most commonly seen caterpillars in this family.